Grant, O Lord, we beseech thee, that as we make a yearly commemoration of these thy holy Martyrs; so we may be always partakers of their intercession. Through our Lord Jesus Christ, thy Son, who liveth and reigneth with thee, in the unity of the Holy Ghost, God, world without end. Amen. Also Read – July 12, 2018: St. John Gualbert, Abbot. Ss. 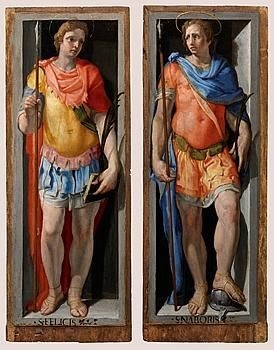 Nabor and Felix, pray for us.